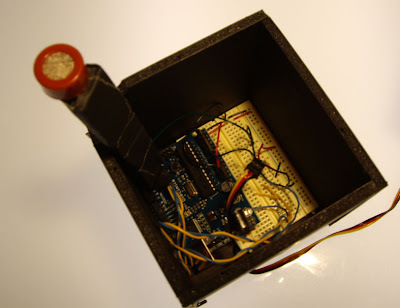 For this assignment, I made a new demo of the sensor that I used for my sensor report, which is the gas sensor. Basically, this sensor detects the alcohol in the air and is usually the part of the breathalysers. So I wanted to make a funny demo that is related to this property. There were many ideas that I liked but I chose the one that fit the actions, events and filtering assignment. Here is an Idea : Bear and Foam! 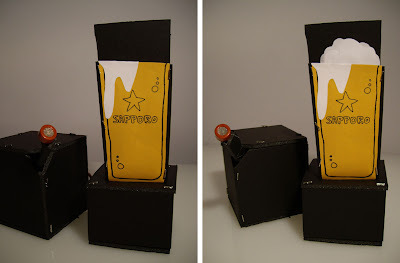 I made a cup of beer and inside of the cup, there was a foam made of the foam board, which is attached to the servo. 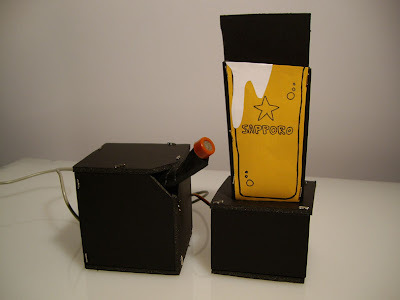 In the code I set the threshold to make the servo turn so if the sensor detects a certain amount of alcohol in the air, the servo will turn and the foam is going to go up. 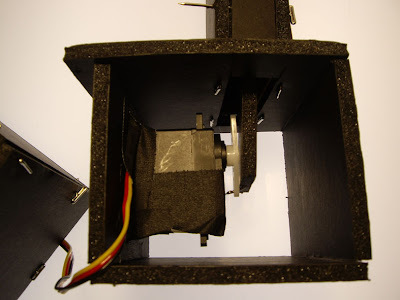 Usually, after the sensor detects alcohol, it takes about 30 seconds so if the sensing value is smaller than the threshold, the servo will go back to the initial position and the foam will go down as well. The orange one is the alcohol sensor. Left photo is when there is no alcohol in the air or the detected alcohol is smaller than threshold and right one is when the alcohol is detected. 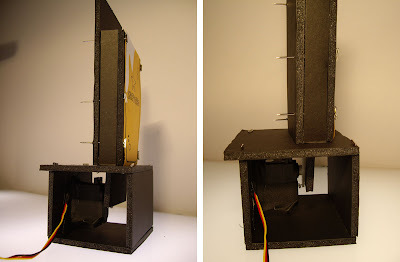 In these photos, you can see the servo under the cup and the foam board that is attached the servo. Here is the video. When you blow your breath after drinking..
Thanx a Million for posting such an excellent rare information. 1) I think the resistor value should be 220ohm or less, not 220k ohm. I was not getting any reading with 220k, but with a 220 I got a very nice range of values. Using the hand sanitizer is a great idea! 2) The heater wires should go to power and ground directly. The same circuit will work for the MQ-135 air quality sensor, but with a 10k ohm resistor instead. I need a simple and appropriate circuit diagram for my project in alcohol sensor. I need circuit for MQ-3(or 5)sensor.